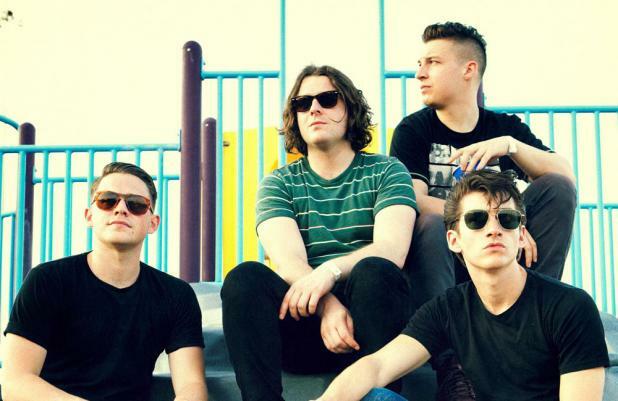 Arctic Monkeys wish they had their own private jet. The 'Why'd You Only Call Me When You're High?' band pine for the 70s when bands could get away with more outrageous behaviour and didn't have to look good for the camera at all times. Singer Alex Turner told GQ magazine: "It would be boss [great] to have a plane. Bands in the 70s, they had a plane.You could have a beer belly and wear just a waistcoat with the belly. Now you have to go to the gym and fly commercial." As well as wanting to live like it was the 70s, Alex turned to the 60s for musical inspiration for the band's new album 'AM'. He added: "I love The Jam, the Kinks and The Smiths but I don't want to be a homage to them. I want to do something else. I want to make some music that's got some sticky-fuzz guitars and sounds like a 60s Tina Turner in cassette-tape-grey leather trousers and a chopper. But in a very 2013 way." 'AM' is released on Monday (06.09.13). The stomping Sheffield tykes have graduated from songs about chip shops and taxi ranks, but the ferocious singalong favourites of old should also make an appearance.